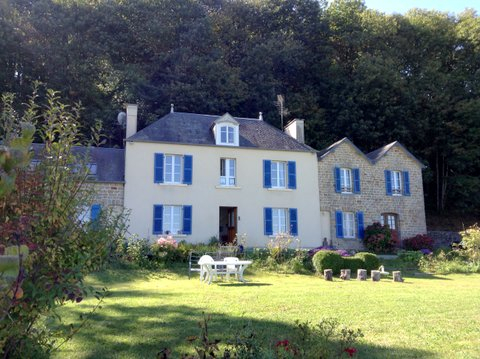 This elegant property, a former hunting lodge is now converted into a beautiful house with 3 bed and breakfast rooms, 2 acre grounds, stone outbuilding, A superb location offering an unobstructed view of Mont St Michel and enjoying a preserved setting, surrounded by woodland. The house offers spacious living areas with features such as the fireplaces, staircase, The owner has a private area with 2 bedrooms and there are 3 ensuite bedrooms for the guests. A unique property well suited for family life and ideal for Bed and breakfast!